Professor Godfrey-Smith is Distinguished Professor of Philosophy at the Graduate Center, CUNY (City University of New York), and Professor of History and Philosophy of Science (half-time) at the University of Sydney. He has previously taught at University of California San Diego, Stanford, Harvard, and the Australian National University. His main research focuses on the philosophy of biology and the philosophy of mind. 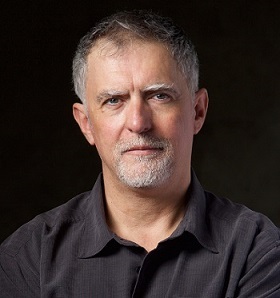 He is the author of numerous scholarly articles and books, including Complexity and the Function of Mind in Nature (Cambridge, 1996), Theory and Reality: An Introduction to the Philosophy of Science (Chicago, 2003), Darwinian Populations and Natural Selection (Oxford, 2009), which won the 2010 Lakatos Award, and Philosophy of Biology (Princeton, 2014). His most recent book is the highly acclaimed, Other Minds: The Octopus, the Sea, and the Deep Origins of Consciousness (Farrar, Straus and Giroux, 2016). One of Australia’s contributions to the history of philosophy is something called ‘Australian materialism.’ What sort of materialism is this and why is it associated with Australia? This lecture will discuss the past, present, and future of materialist philosophies, together with the conceptions of ‘matter’ that accompany these views. Most debates about materialism concern the relations between minds and bodies; is a person no more than the biological matter that makes them up? People often suspect that a materialist philosophy will inevitably be associated with an amoral or selfish outlook. What is the connection (if any) between materialism and choices about how to live one’s life?